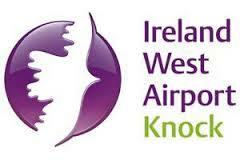 Ireland West Airport Knock is set for its busiest ever year with new services to Birmingham, Edinburgh and the Costa Dorada. This week, the airport celebrated the launch of Flybe’s new, year-round services from Knock to Birmingham and Edinburgh. Six weekly flights to both destinations, along with extra capacity on Flybe’s Manchester route, will add 78,000 seats this year, it said. “This further cements the airport’s position as the premier UK gateway for the West of Ireland, as we now service nine different access points,” said its MD, Joe Gilmore. 2016 also sees a new Falcon and Thomson charter service to Spain’s Costa Dorada, bringing Knock’s total of international destinations to 22. Ireland West celebrates the 30th anniversary of its official opening this May 28, with a programme of events including a gala evening and 5km charity run/walk. The airport was originally the brainchild of local parish priest Monsignor James Horan (below), who believed that it could deliver employment and pilgrims to a region suffering from mass emigration in the 1980s. Horan died two months after the airport was officially opened. Three decades later, the rebranded Ireland West Airport Knock expects to welcome a record 720,000 passengers in 2016, up from 685,000 last year. Despite the growth, however, the company that operates the airport recorded a pre-tax loss of €536,618 before a government operational subvention in 2014. Recently, Knock received a boost when local authorities in Galway, Mayo, Roscommon, Leitrim, Donegal and Sligo agreed to invest €7.3m in the airport in return for a 17.5pc equity share and additional board and strategic participation. In recent years, Ireland West has added several new sun holiday routes, including Alicante, Barcelona, Croatia, Faro-Algarve, Lanzarote, Milan and Tenerife. Aer Lingus and Ryanair also operate dozens of weekly flights to and from the UK. 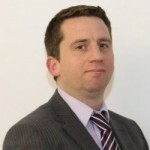 We look forward to working closely with Flybe and Ireland West Airport to maximise the promotion of the new services,” said Niall Gibbons, CEO of Tourism Ireland. 10 million passengers have used the airport since 1986.